For the third year running, ELWEMA has won the 'Top Midsize Employer' award in Yourfirm's 2018 ranking. 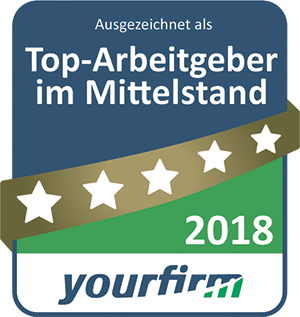 Yourfirm is the leading online job board serving medium-sized companies in German-speaking countries. Yourfirm.de is a job positing board that focuses explicitly on medium-sized companies and whose website is visited by approx. 1 million users monthly. ELWEMA has been posting its job openings there for several years now. At Elwema you will make the difference! 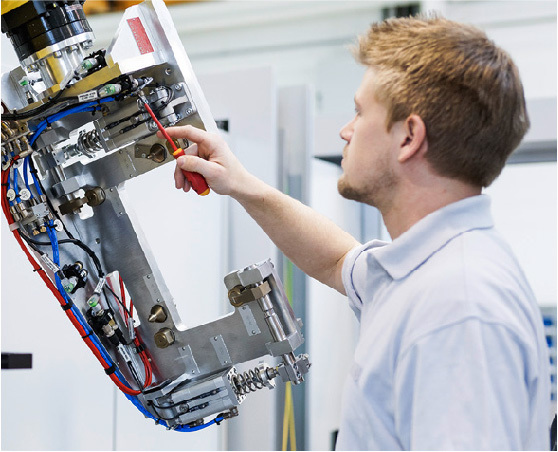 We are currently looking for brilliant minds to reinforce our team of PLC and robot programmers.